The Globalist influences of mainstream media claiming black shooter was white Supremacist Motivated by Hate. We have addressed in previous articles the constant bias and agenda which is creating massive propaganda and purposeful incitement of hatred between individuals has resulted in the successful conditioning of unnecessary guilt in anyone who is associated with being "white." Globalist have been hugely successful in this world goal and from young age children all over the world are taught Europeans (whites and Jews) wrongfully took land and senselessly killed other cultures and races due to our false belief of racial superiority and greed. When you investigate this, however, you find that this simply isn't the whole story. This article hopes to address some of the racist and bigoted inaccuracies given to us regarding the Slave Trade and lands taken from the Native American Indians. Another angle of this story that is rarely discussed is the involved of the Globalish elite and ruling Kings and Queens who have been influential and ruled in the Western world for hundreds of years. These Globalist are directly responsible for much of the slavery, wars, and pillaging that has occurred around the globe and the aveage person has little to no say in what ours rulers what to do to gain power, lands and money. Ben Shapiro; Destroys the lefts new tactic of "White Guilt "
The reality is that slavery has touched virtually every culture, nationality, race and religion. It has a long drawn out history that started in ancient times and continues today. While the social, legal and economic positions of slaves differ in each instance, effectively they were all owned by other individuals. The Globalist who forefathers were behind the black slave trade, today, blame white Christians for the black African slave trade. About (95% of white Christians who in lived in southern United States did not have slave. The Globalist lies distorted history in a way to create Christian guilt in whites and incite racist hatred them. While it is rarely discussed except between the occasional scholars of history academic, there have been many European white slaves throughout the course of history. Perhaps the most well known of these were the criminals from Britain who were transported to the Americas and Australia in the 17th and 18th centuries some as bond slaves. History has labeled convicts were in actual fact just another type of slave who was expected to perform hard labor for their owners and states. In Scotland and other feudal systems throughout history landowners used their Serfs; individuals they owned both legally and economically to farm their lands. These Serfs literally toiled all day on farms and were then required to give the majority of the produce to their lord. Serfs also expected to perform brutal mine labor as well as work in forests and on roads. 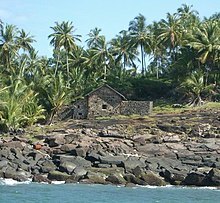 France transported convicts to Devil's Island off the coast of French Guiana South America just north of the town of Kourou. "In the British West Indies, plantation slavery was initiated as early as 1627. In Barbados by the 1640s there were an estimated 25,000 slaves, of whom 21,700 were white." Devil's Island was a French Penal colony which was notorious for its conditions and its housing of political prisoners. It was open in French Guiana from 1852 to 1953. Carola Hoyos wrote a most enlightening article about the previously buried links to slavery with two of the biggest family names in The City of London. Until this exposure, the media had frequently cited evidence that both parties were massive opponents to slavery. "(Rothschild) ...funded the UK government’s bail-out of British slave owners when colonial slavery was abolished in the 1830s. It was the biggest bail-out of an industry as a percentage of annual government expenditure – dwarfing last year’s rescue of the banking sector. The chief archivist of the Rothschild family papers, Melanie Aspey, reacted with disbelief when first told of the contents of the records, saying she had never seen such links before." This remarkable history book traces the suppressed record of the slave trade in Whites, hundreds of thousands of whom were kidnapped, chained, whipped and worked to death in colonial America and industrial Britain. Historian Michael A. Hoffman II makes a compelling case for the fact that millions of American whites alive today are also descendants of slaves. Many Europeans from Ireland, Scotland even England were sold to many countries as slaves. Look at the following video. . The Arab slavers who raided Britain, Ireland, and the continent of Europe for white slaves were not African Negroes; they were Arabs who lived in North Africa, Middle East, and Turkey. They traded in European and African slaves. This is the forgotten story of the million white Europeans, snatched from their homes and taken in chains to the great slave markets of North Africa to be sold to the highest bidder. Ignored by their own governments and forced to endure the harshest of conditions, very few lived to tell the tale. Using the firsthand testimony of a Cornish cabin boy named Thomas Pellow, Giles Milton vividly reconstructs a disturbing, little known chapter of history. Pellow was bought by the tyrannical sultan of Morocco who was constructing an imperial pleasure palace of enormous scale and grandeur, built entirely by Christian slave labor. As his personal slave, he would witness first-hand the barbaric splendour of the imperial court, as well as experience the daily terror of a cruel regime. Gripping, immaculately researched, and brilliantly realised, WHITE GOLD reveals an explosive chapter of popular history, told with all the pace and verve of one of our finest historians. It was during the 1600s that Barbary corsairs-pirates from the Barbary Coast of North Africa were at their most active and terrible. With the full support of the Moorish rulers of North Africa, these Muslim slavers raided Southern Europe, the Atlantic European coast, Britain and Ireland almost at will. Most estimates indicate that by 1780, at least 1.2 million Europeans had been seized. Very few ever managed to escape and most ended their days dying of starvation, disease, or maltreatment. This remarkable book, first published in 1693, contains one of the few genuine eye-witness accounts, written by a white slave who managed to escape. Its graphic description of the lot of white slaves, the Moorish relations with the Jews of North Africa, the conditions of the time and the author's eventual escape, cast a dramatic and nowadays, oft-hidden light upon the time when whites were enslaved. Many countries throughout Europe suffered from raids from slave traders ships looking for European men and women to sell in the middle east. During the late 1300s and mid-1400s, millions of white Christians suffered enslavement. Many of these slave traders were Muslims from numerous countries in North Africa, Middle East and Turkey. Many Black AfricanTribes in Africa rounding up blach Africans and solded them for profit to slave traders. Some Globalist today forefathers were in involved in the slave trade. The same Globalist today control mainstream media always highlight the majority white Christians were involved, but is not true, as it was mainly people who called themselves Jews and Muslims who controlled the Slave Trade. Historically it is beyond doubt that the journey from Africa to the United States and Central and South America killed thousands of these slaves. The approximate numbers of deaths before they even set foot in America is estimated at between nine and eleven million. Covers the little known Aran Campaign, or “Congo-Arab War” of 1892 to 1894. Africans are responsible for African slaves..
Did The Native Americans Own Black Slaves ?? Dr Livingstone thought bringing Christianity to Africa would stop slavery . Who Brought the Slaves to America? By Walter White Jr. The truth about slavery and why we are all suffering because of it. The media accuses white people of exterminating some American Indians and other races worldwide, where in fact the majority of people died because they caught migrated diseases from Europeans because the indians did have immunity. This was the main way Europeans decimated the Central Americans, certainly accidentally with smallpox. Although the Europeans were relatively resistant to the disease, many white people still suffered and died, and the following video will reveal this. The Black Death plague was one of the most devastating pandemics in human history, peaking in Europe between 1348 to 1350 and killing between 75 million and 200 million people during the 14th century. During the Black plague in Europe about half the European population died. The Black Death was one of the most devastating pandemics in human history, peaking in Europe between 1348 and 1350. Of several competing theories, the dominant explanation for the Black Death is the plague theory, which attributes the outbreak to the bacterium Yersinia pestis. The Black Death is estimated to have killed 30-60 percent of Europe's total population reducing the world's population from an estimated 450 million to between 350 and 375 million. The aftermath of the plague created a series of religious, social and economic upheavals, which had profound effects on the course of European history and took 150 years for Europe's population to recover. The plague returned at various times killing more people until it left Europe in the 19th century. The Antonine Plague, AD 165–180, also known as the Plague of Galen is described as an ancient pandemic, either of smallpox or measles brought back to the Roman Empire by troops returning from campaigns in the Near East. Total deaths have been estimated at five million. The disease killed as much as one-third of the population. Click here for a list of major epidemics. Note: In the early 1950s, an estimated 50 million people caught smallpox in the world each year until a vaccine was developed in 1979. To this day smallpox is the only human infectious disease to have been eradicated from most parts of the world - thanks to white people. The bigoted western media keeps telling us all humans are the same, so why is it a big thing that Europeans (whites and Jews) took Indian land when in fact the Indians had been taking land from other different tribal groups? Nobody thinks much about the fact that from the time the Europeans arrived in the Americas, blame has been placed on them as being the only people taking the land. This is racism and bigotry and we often hear the TV and Newspapers attacking Europeans for land grabbing from Indians and they promote Indians as a race different from Europeans, yet at other times, will promote Europeans as a non-race. Once again, this is bigotry. 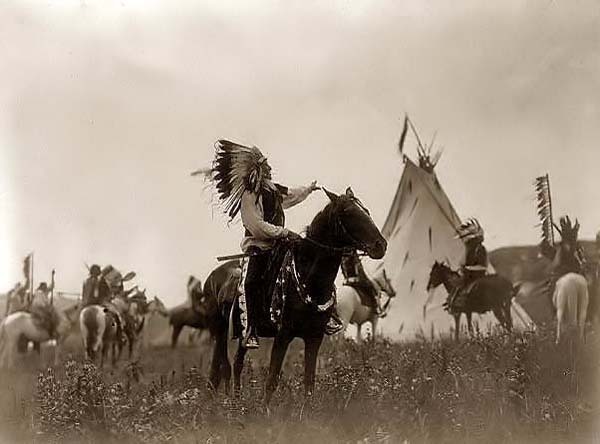 Before the arrival of the white man in America, Indians warred violently with each other, sometimes taking captives as slaves, as outlined in the 'Indian versus Indian....Lakota Sioux' video below. Another example is the 100-year civil war of the Iroquois federation around the Great Lakes area. This is covered in the documentary on the 'History of the Iroquois' linked below. With reference to the written history of the early European settlement of North America, when Indian tribes attacked each other and European settlers, they would usually kill all of the men, women and children. Some, however, were tortured or burned at the stake while others were pinned to the ground with honey in their eyes and on their body, on or near an ants nest to die a slow, excruciatingly painful death. Captive women were gang raped and babies were generally killed. Occasionally women were taken as wives. Only a small handful of Europeans (whites and Jews), took lands from Indians. At that time the majority white population in the world did not live in America, they lived in Europe. The following video by Stefan Molyneux discusses the fact that the statistics of the North American Indian population were exaggerated, thereby similarly allowing for an exaggerated number of deaths among them. This has allowed the continued perpetuation of white European guilt. Before the white man, Indians fought each other in a very violent way. They would sometimes mutilate their enemies. They would drive them far out of their hunting lands. Some would even take captives as slaves. Documents the War of the American Indians within the History of the Iroquois. On August 5, 1873, in Nebraska near the Republican River, 1000 to 1500 Lakota Sioux warriors attacked a Pawnee Indian Buffalo hunting party numbering between 400 and 700 people, many of which were women and children who were killed. "You Stole America from the Indians"
General Miles advocating for an accurate history of the USA and the American Indians ("Bury my Heart at Wounded Knee"). US Indian scouts served in the U.S. Army in wars between Indian tribes. Just like today, some whites and Africans betray their people and this is also true of American Indians who helped the whites, Jews and blacks obtain lands from the Indians. Long before Europeans came to America Indian tribes fort each other and the following film clip shows Pawnee indians attacking Sioux indian camp. Many Indians became scouts and fought against Indian tribes. Many Indians fought in the American Civil War of 1865. On August, 5, 1873 in Nebraska near the Republican river 1,000 to 1,500 Lakota Sioux men attacked and massacre Pawnee hunting party of about 400 and 700 people many of which were women and children. Dr. Yeagley, the great-great-grandson of Comanche leader Bad Eagle, addressed the 2012 American Renaissance conference before his untimely death in 2014. Dr. Yeagley spoke on the history of Anglo-Indian relations, and why it is that the white race has lost its once strong sense of certainty and righteousness. Did America Steal Mexican Land? Money paid to Indians from the government comes from treaties or tribe assets.The money doesn't come from the government nor does so indirectly. It comes from the treaty and that individual's share of the investments of that treaty. Land use and mineral rights for the government or share of Tribe assets that generate wealth. from (1618 - 1648) a war between Catholics and Protestants was the most devastating European war of all time. During this war, up to 40% of the population in Germany lost their lives. This included approximately half of all German men.